Phantom by V2 Tobacco is characterized by a classic taste experience at an affordable price. While there are countless variations of strengths, flavors, portions and brands nowadays, there was a time when snus was much simpler. Back when snus was sold in paper bags, there were no artificial flavors. Instead, the flavor of snus was mostly determined by which tobacco was used. While some tobacco comes from Asia, other tobacco is grown in North America or Africa. All the origins deliver different flavors. But soon after Swedes started using snus, manufacturers had an idea. They started adding different herbs and spices to the tobacco to add complexity to the flavor and make it more interesting. Many of today’s most famous brands were born in said era of experimentation. While today’s market is flush with crazy flavors and combinations, Phantom takes snus lovers back to a time when snus was just spiced tobacco. Over all, Phantom delivers what it claims to do: A traditional snus in the modern world. 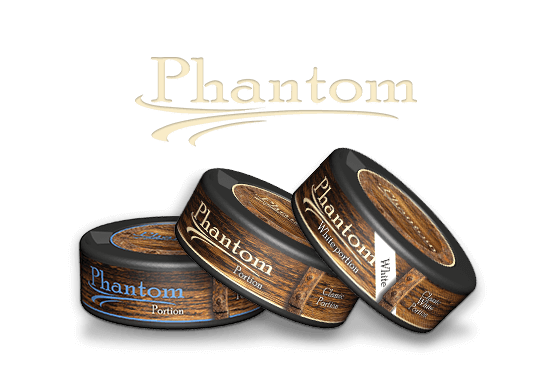 Anyone who enjoys traditional Swedish snus and its flavors should give Phantom a try – especially since the price is so low for this popular flavor.